Yes, surprisingly we're still going to see Martin Scorsese's The Wolf of Wall Street sometime before the end of 2013, or so Paramount has promised us. With the countdown at about 32 days, just over a month, we're finally seeing the first official posters for the movie. Paramount debuted two posters, neither of which are that impressive, but they do feature Leonardo DiCaprio up front and center looking cool as usual. Oddly there's no appearance by or mention of co-star Matthew McConaughey, or any of the rest of the cast (Jonah Hill, Margot Robbie, Jon Bernthal, Jon Favreau or Ethan Suplee), aside from director Martin Scorsese, writer Terence Winter and author Jordan Belfort. We'll hope for better posters by Christmas. 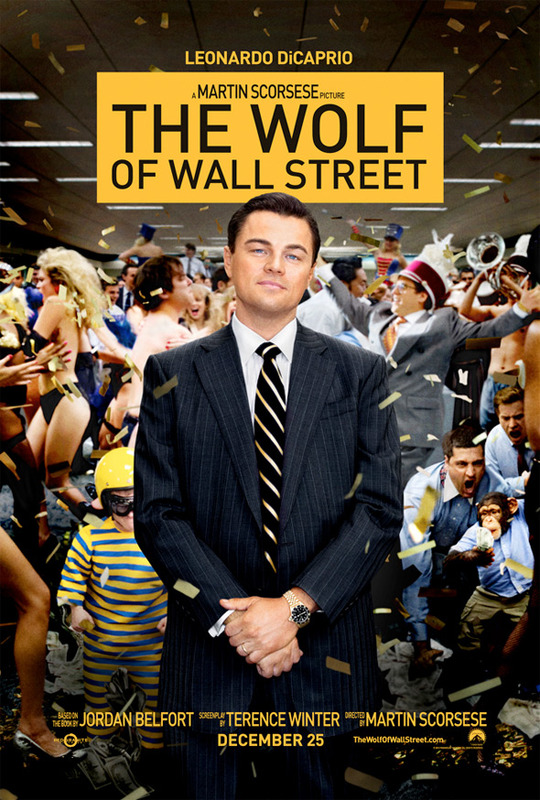 The Wolf of Wall Street is directed by legendary Academy Award winning filmmaker Martin Scorsese, of everything from Taxi Driver to Raging Bull to Cape Fear to Goodfellas to Casino to Aviator to Departed to Shutter Island and Hugo recently. The screenplay is written by Terence Winter (Get Rich or Die Tryin', Brooklyn Rules, "The Sopranos", "Boardwalk Empire"), based on Jordan Belfort's book of the same name. The film also stars Jonah Hill, Matthew McConaughey, Margot Robbie, Jon Favreau, Kyle Chandler, Shea Whigham & Jean Dujardin. 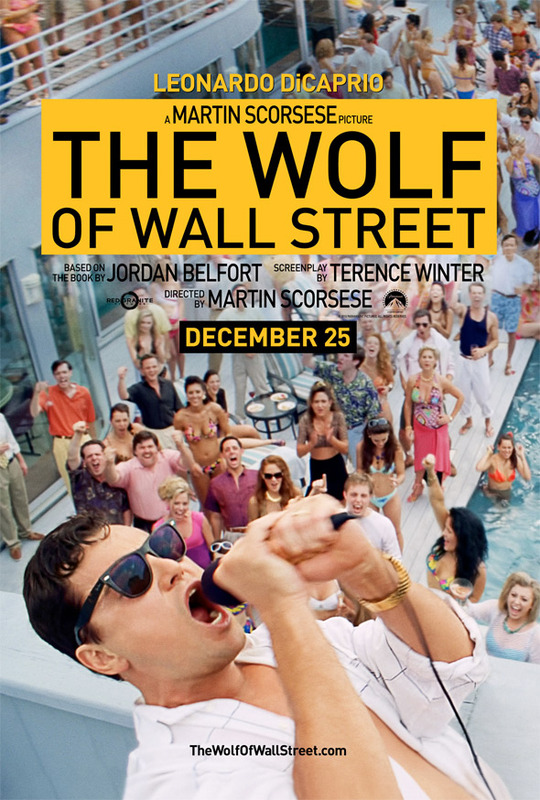 Paramount will open Wolf of Wall Street on Christmas Day, December 25th. These look like the runners up to the runners up in a fan poster contest. I had high hopes for this film but between the trailer and these unimaginative images, my concern level is raised a bit. That first poster is just Leo the actor at his house, right? these posters are perfect for the vibe this movie is projecting.....its a crazy story...can't wait!